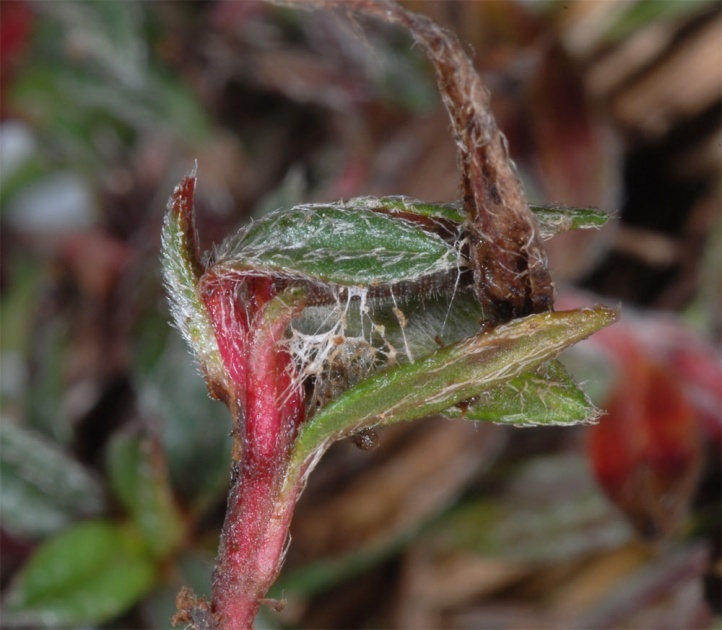 The species lives only on Cistaceae (Helianthemum species). 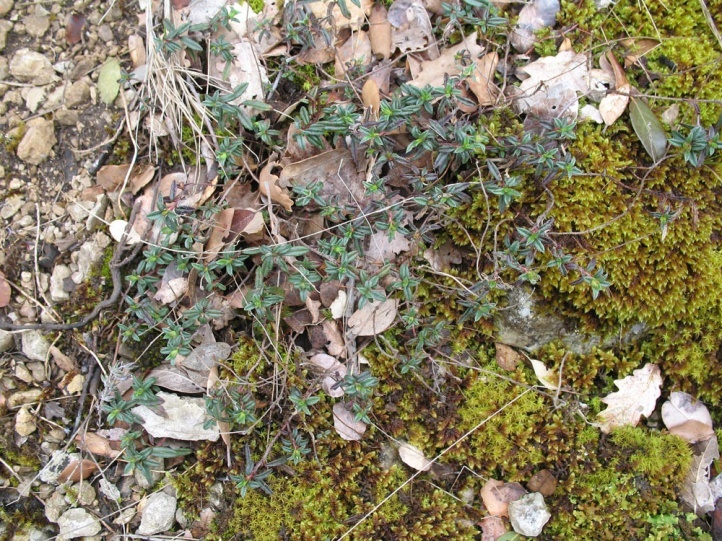 Own observations have been made on Helianthemum hirtum (Provence) and Helianthemum nummularium grandiflorum (Maritime Alps near Cuneo). 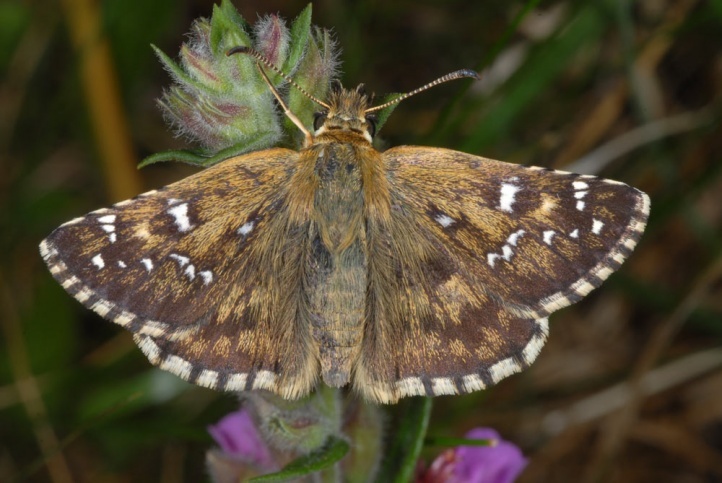 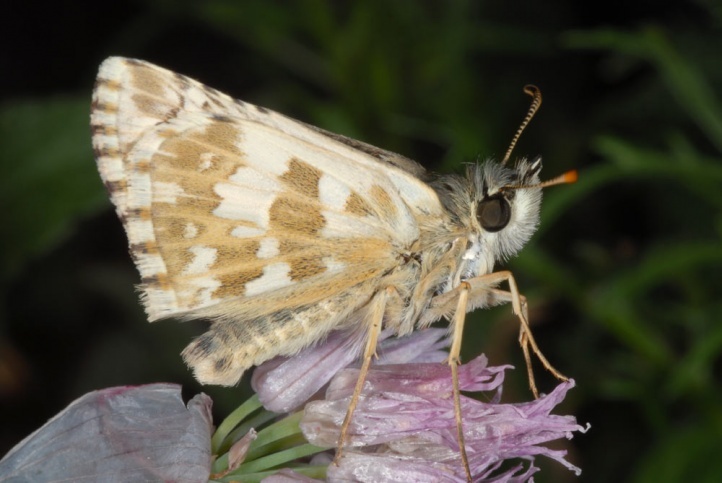 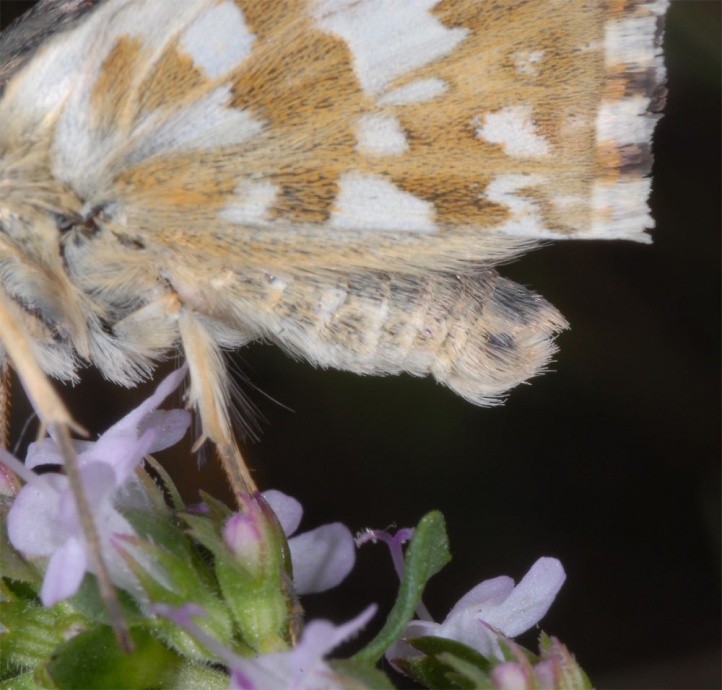 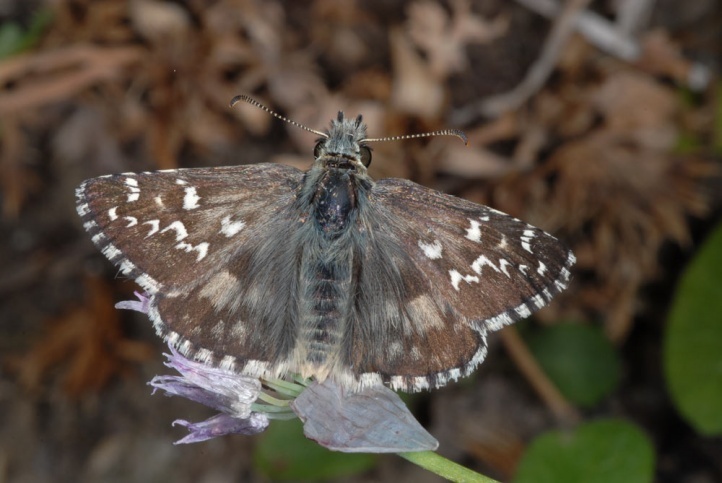 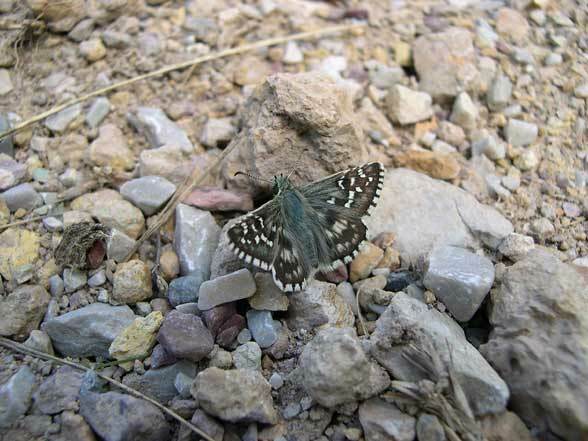 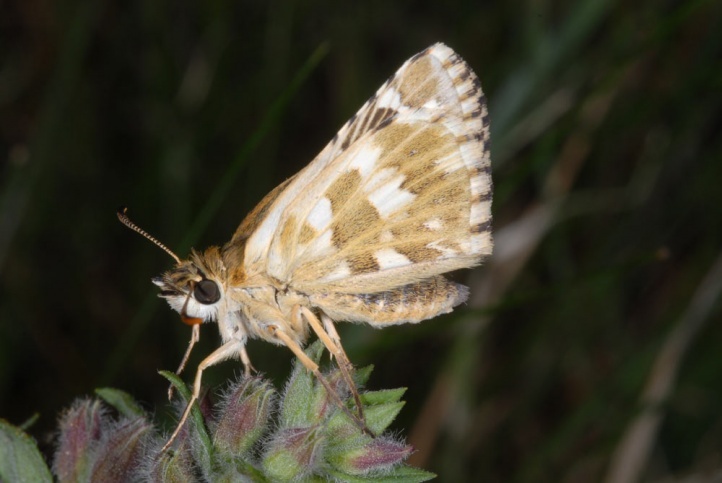 Pyrgus bellieri inhabits mountain slopes and limestone massifs in the Mediterranean area. 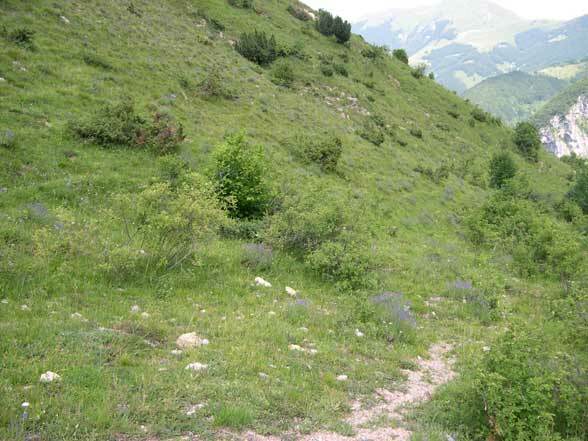 It rises to almost 2000m above sea level in the Southwestern Alps. 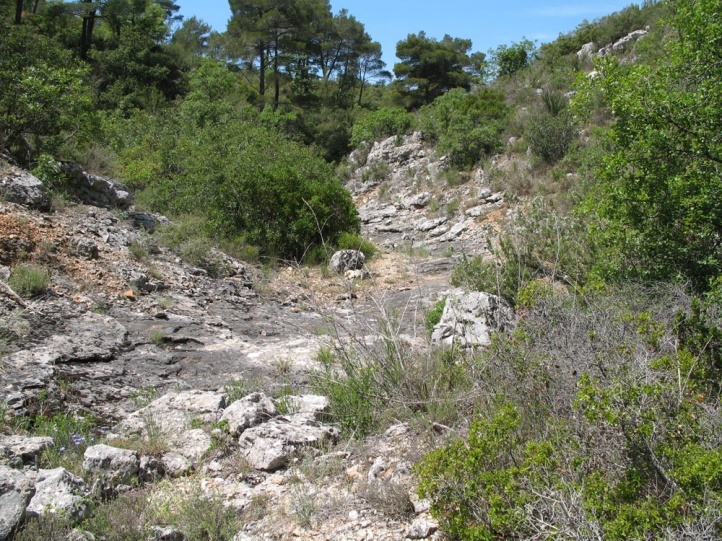 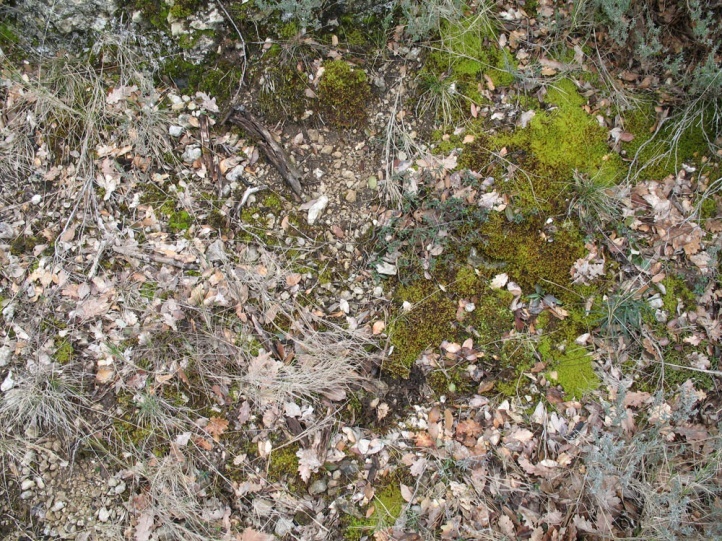 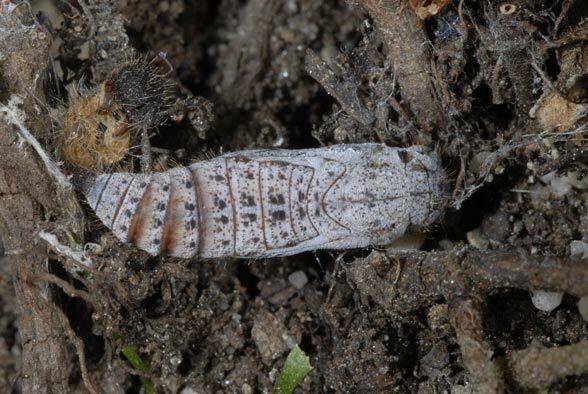 In low, hot locations in the Basse-Provence region the larval habitat is often located in open woodland edges, but more on sunny slopes at higher altitudes. 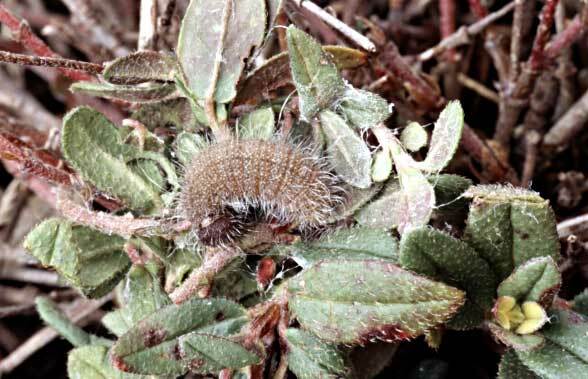 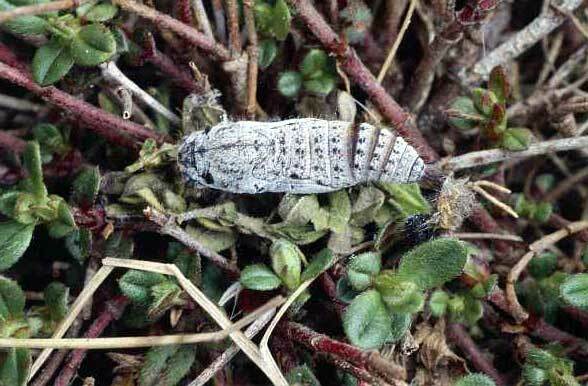 The caterpillar overwinters mostly young (L2, more rarely L3 or even L4) and is fully-grown until late May or in June. 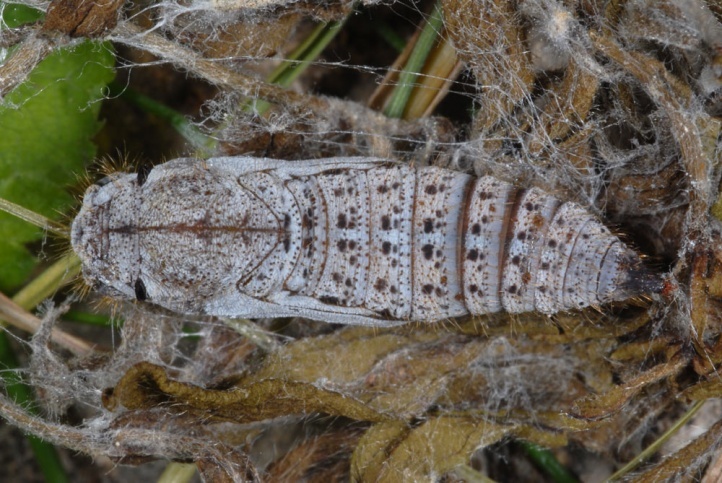 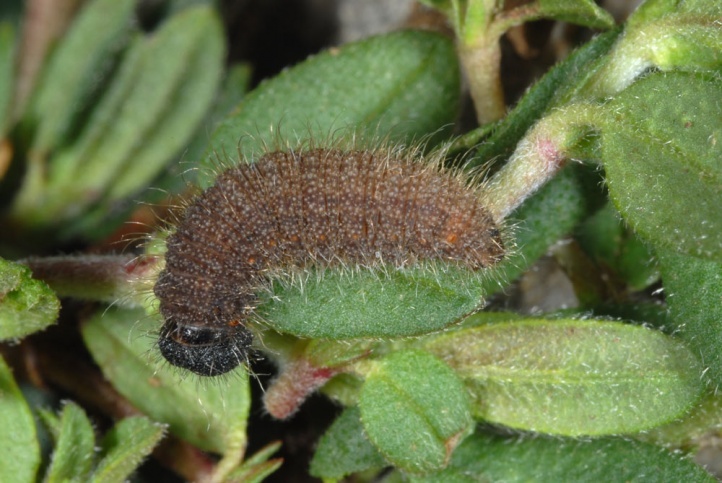 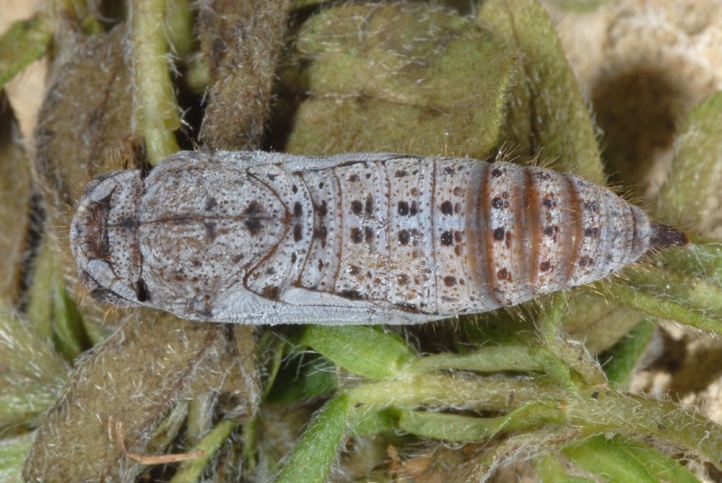 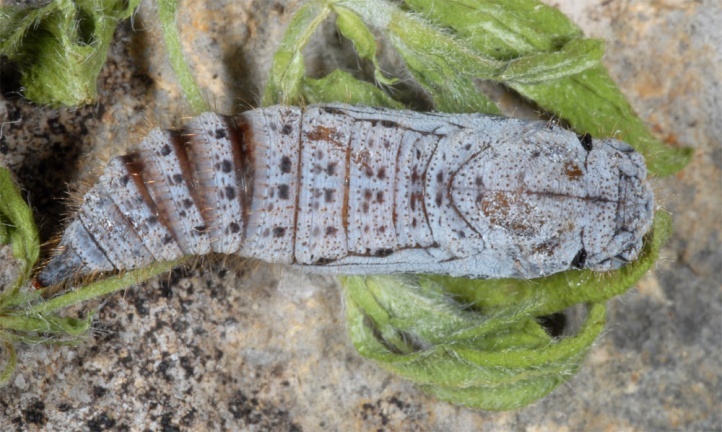 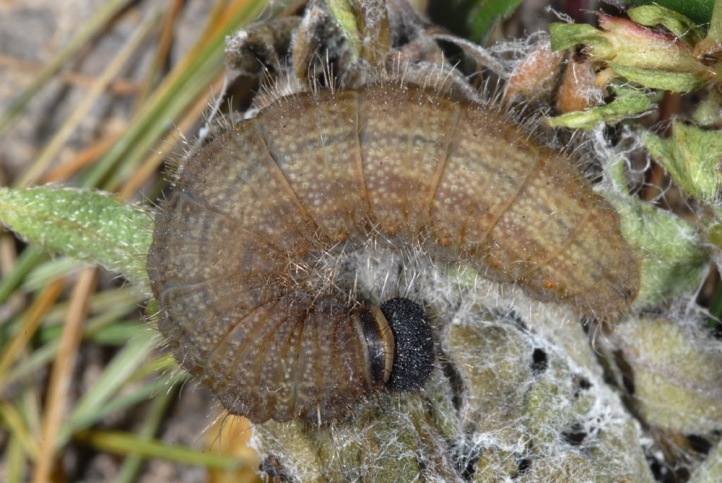 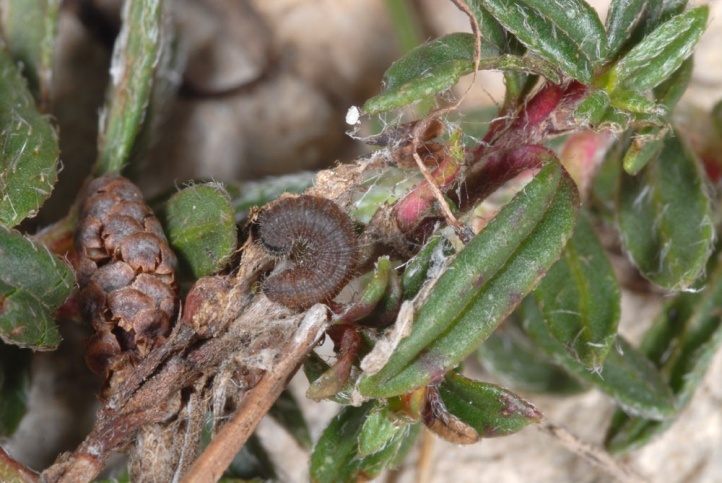 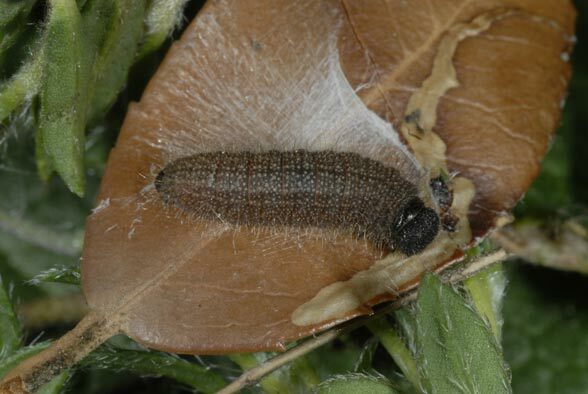 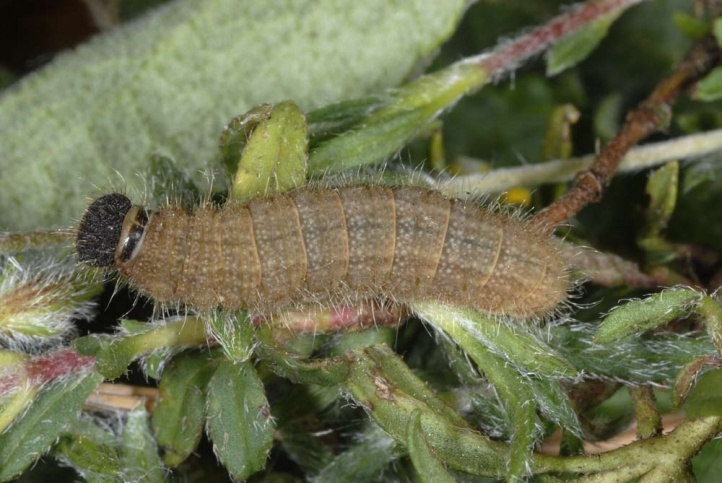 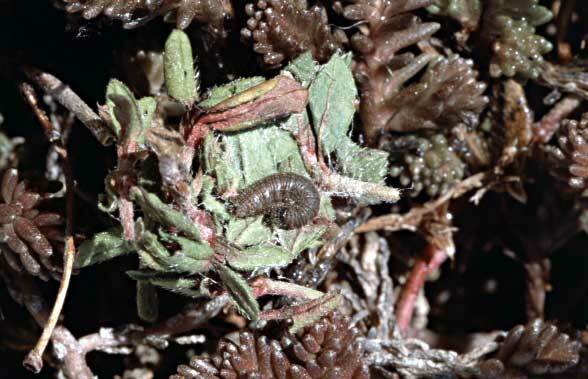 In the Massif de la Sainte Baume in January I found a L2-larva under a pine tree in a shelter 15cm above the ground at Heliantemum hirtum that grew in a broom. 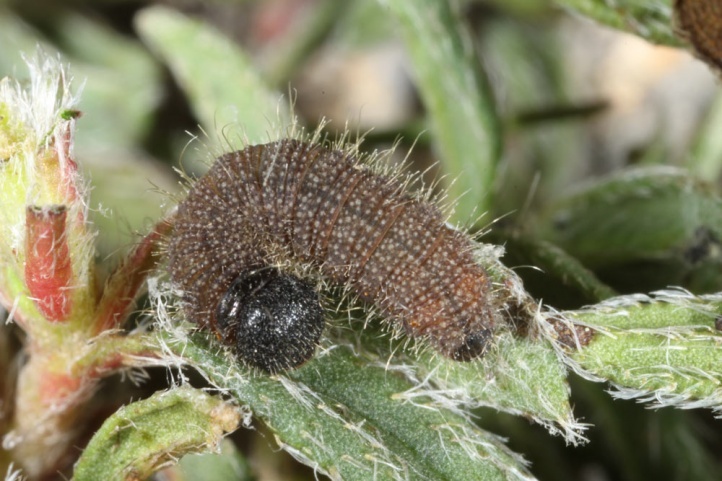 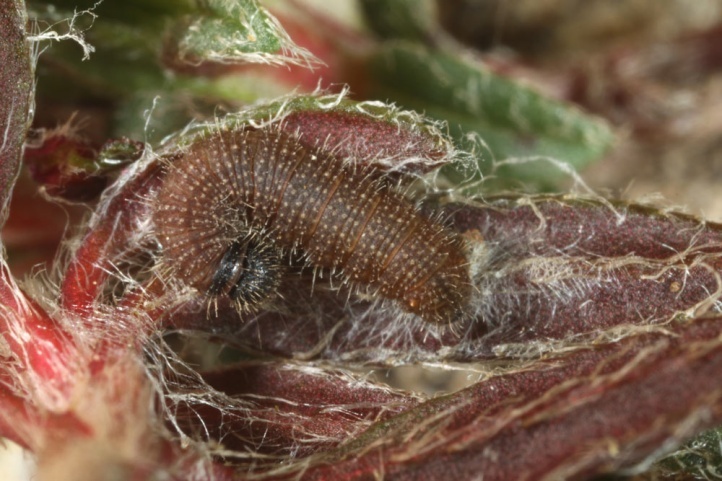 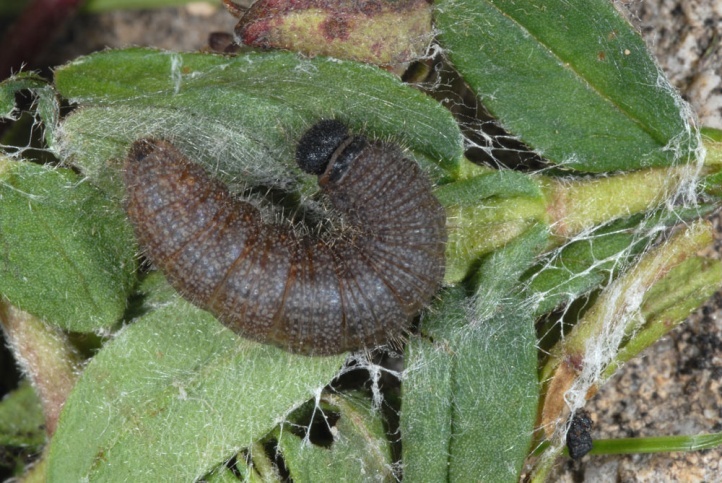 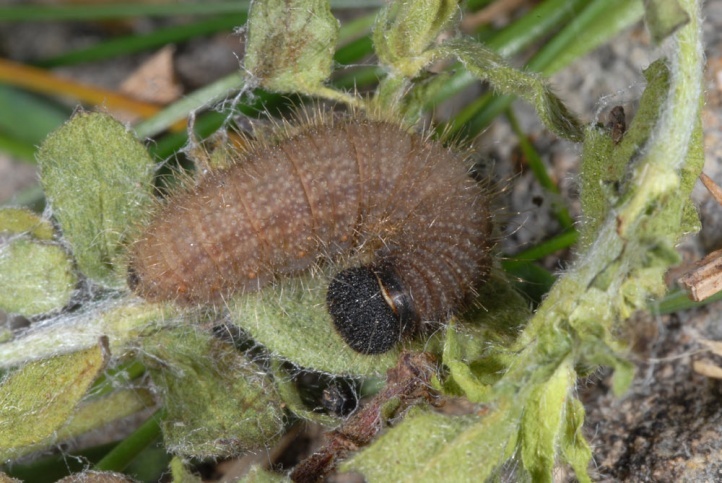 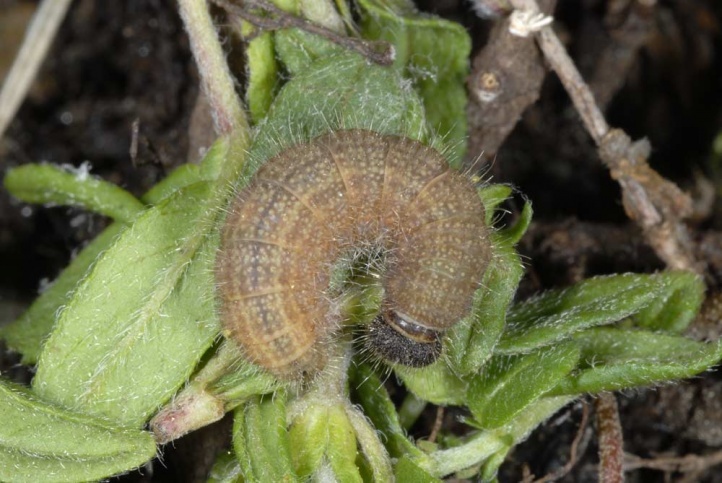 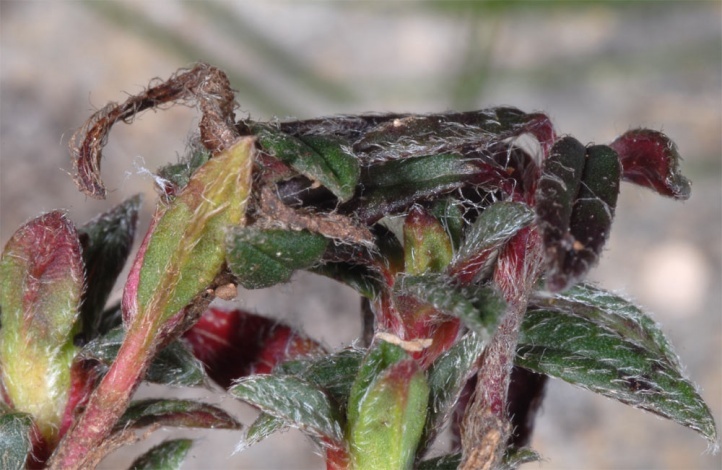 After the winter I found some still hibernating larvae and some that just had become active in early April in partially shaded locations in cocoon-like shelters 1-8cm above the ground on Helianthemum hirtum. 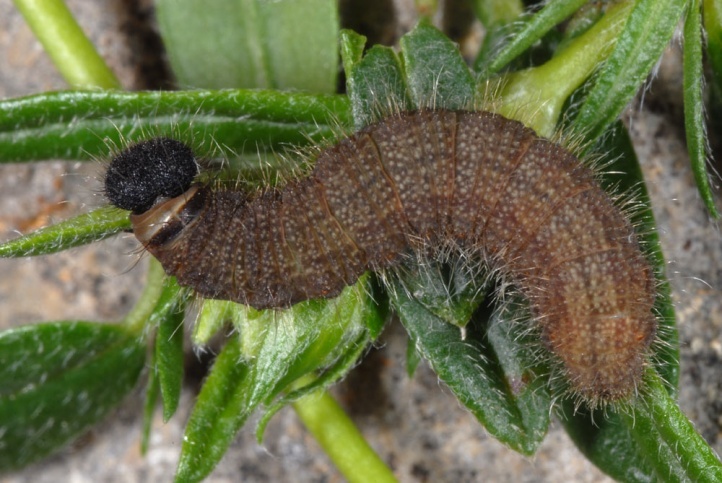 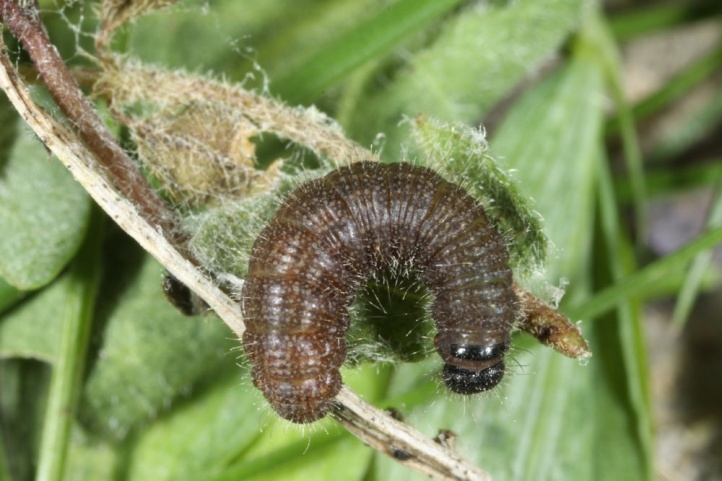 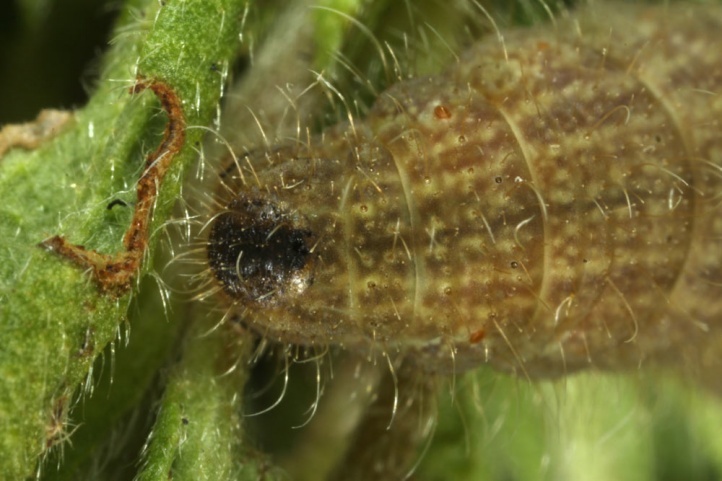 I observed half-grown caterpillars especially in penultimate instar or at the beginning of the last instar there several times in late May. 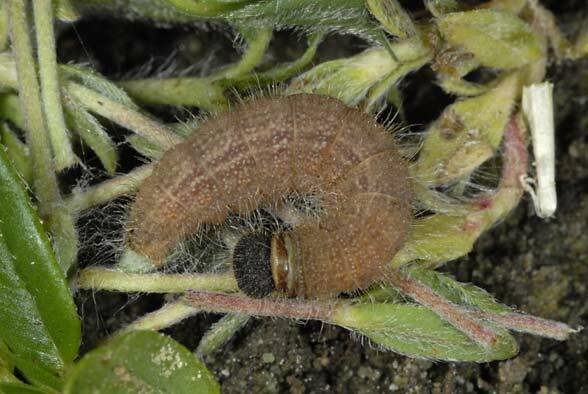 2005, in the end of May, I observed in approximately 1500m above sea level mostly mature and a few half-grown caterpillars on H. nummularium agg. 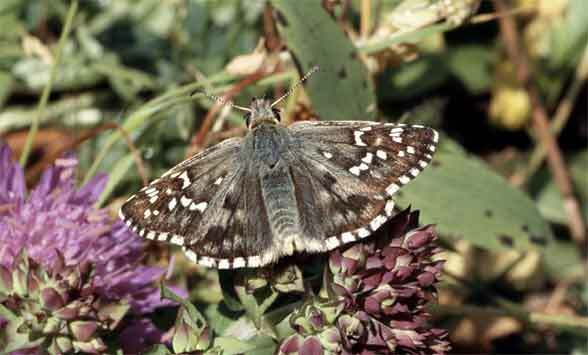 Adults flew in this species-rich lavender-lined slope (with Parnassius apollo, Nymphalis antiopa, Plebicula escheri, Polyommatus damon, Eilema lutarella, Chelis maculosa, Melitaea phoebe, Carcharodus flocciferus, Carcharodus lavatherae, Lycaena alciphron, Satyrus ferula and many others) from mid-July to early September. 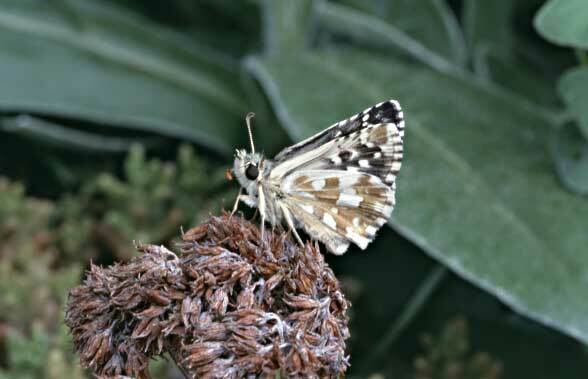 In the lowland Pyrgus bellieri is endangered significantly by building settlements, tourism, cottages, abandonment, reforestation and agriculture, in higher regions probably less. 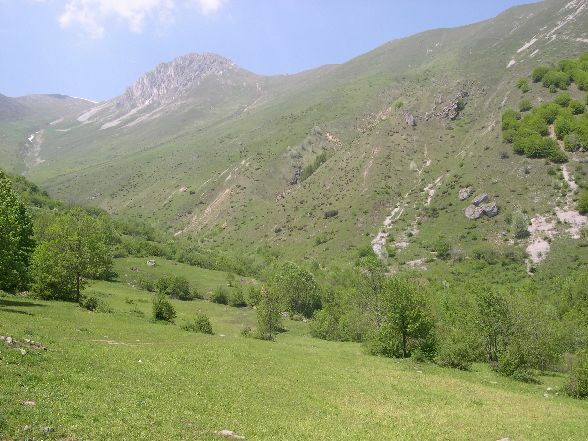 The distribution ranges from Northern Spain across the Eastern Pyrenees and Southern France to Central Italy. 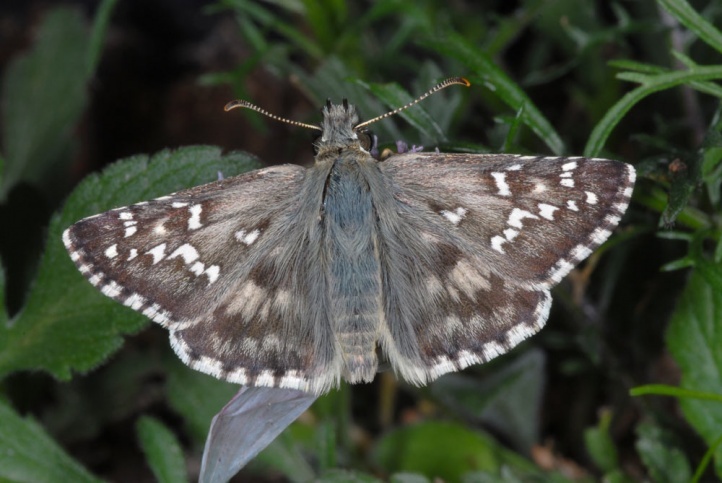 To the north, it is found in the French Hautes-Alpes and the Piedmont, and very rarely on the southern foothills of the Alps in Northern Italy (Lake Garda). 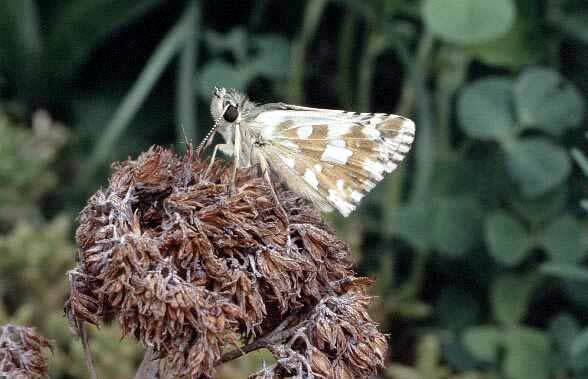 Pyrgus bellieri is a near relative of Pyrgus alveus. 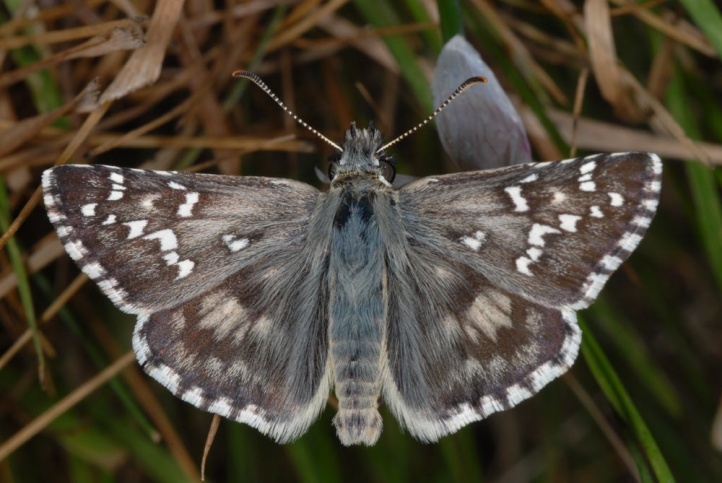 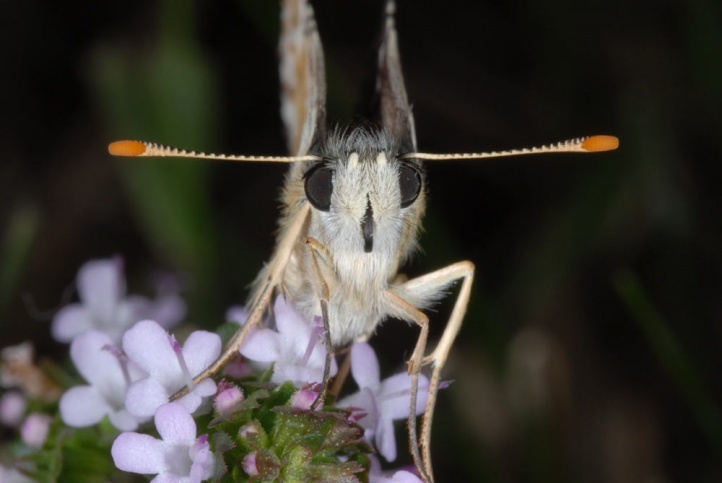 The caterpillars of Pyrgus bellieri usually bear longer hairs (the longest in European Hesperiidae). 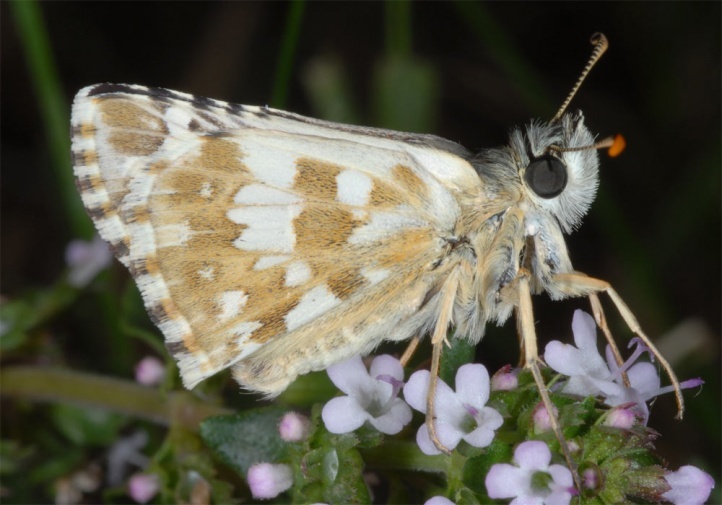 The adults can be confused with Pyrgus cirsii and P. alveus. 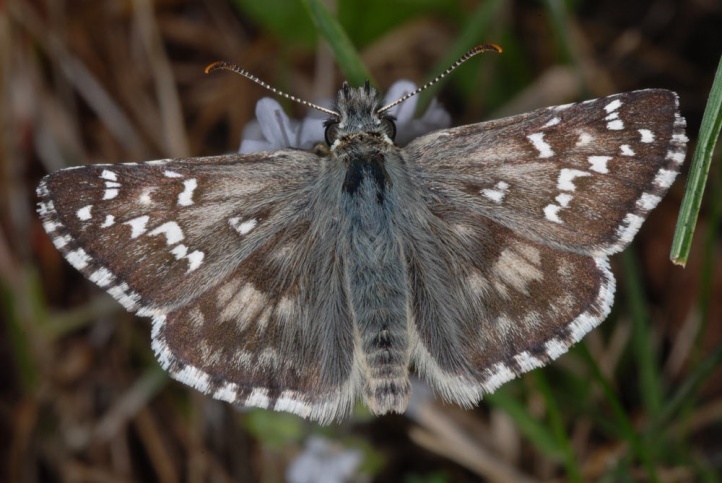 The males of Pyrgus bellieri, however, show a much larger hair tuff at the tip of the abdomen.